The three-month-old died after surgery for a congenital heart defect and being taken off a ventilator in the pediatric intensive care unit. The family of a baby with a congenital heart defect who died after treatment is suing Oregon Health & Science University for negligence. The complaint, filed in Multnomah County Circuit Court, seeks $8 million in damages. It says that the 3-month-old died after surgery and recovery in the pediatric intensive care unit because staff took her off a ventilator and then delayed putting her on emergency life support. 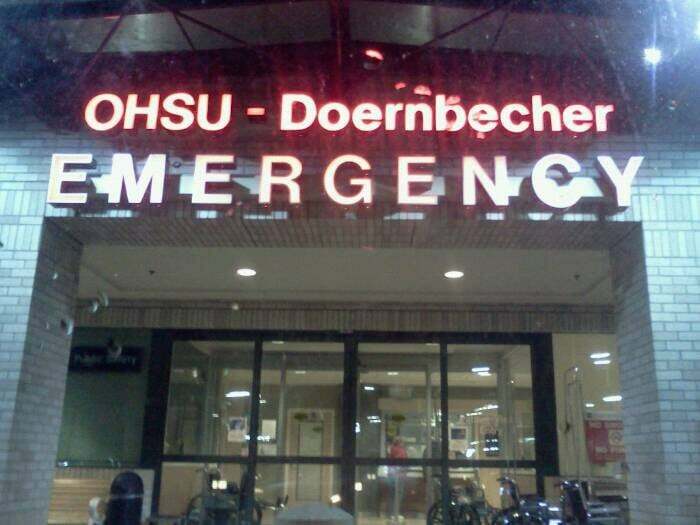 Oregon Health & Science University Medical Group and Doernbecher Children’s Hospital, part of OHSU, are also named as plaintiffs. The complaint says that physicians operated on the baby in February 2017 to repair her heart defect. The suit notes that when properly treated, this condition is non-life threatening. But during the operation, the physicians noticed the baby had a problem with the blood flow into her arteries, the complaint says. Rather than fixing the repair, the suit says, the physicians completed the operation and returned the girl to the pediatric intensive care unit. She was put on a ventilator for post-operative recovery. Someone made a decision to take her off the ventilator though the baby was still sedated, the complaint says. A physician was not present at the time, the complaint adds. It says the baby’s blood pressure dropped and she lost a pulse. It wasn’t until about 20 minutes later that she was put back on ventilation, the suit says. Staff waited more than two hours to put her on a heart-lung bypass machine, the complaint alleges. The ECMO machine, which is only used in extreme cases, can increase the chance of survival. The suit says that she suffered a brain injury, cardiac arrest and organ failure because the surgery was "sub-optimal" and that staff delayed putting her back on ventilation. She died 13 days after the surgery. The suit seeks economic and noneconomic damages for the baby’s pain and suffering, the loss of her life to society and the family.